If you’ve been in the station recently, you may have noticed things are looking a little bit different. 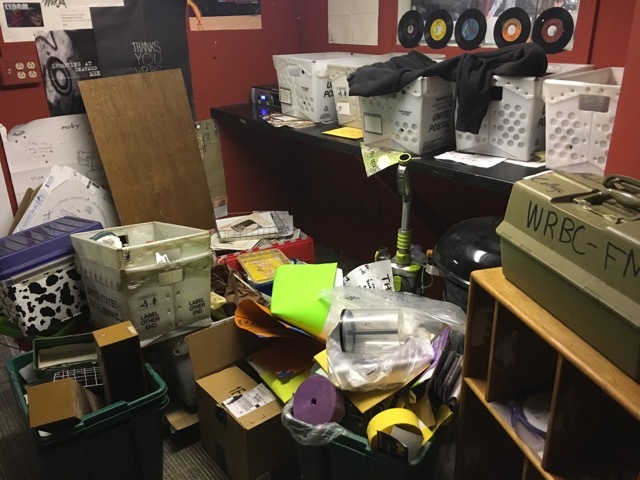 Joey Tocci ’17, Facilities Director for WRBC, and Jordana Gluckow ’16, General Manager, are working together with the rest of the board to clean up and revamp our studio space, the first substantial renovation in over ten years. Don’t worry. We here at WRBC take your aesthetic concerns very seriously. 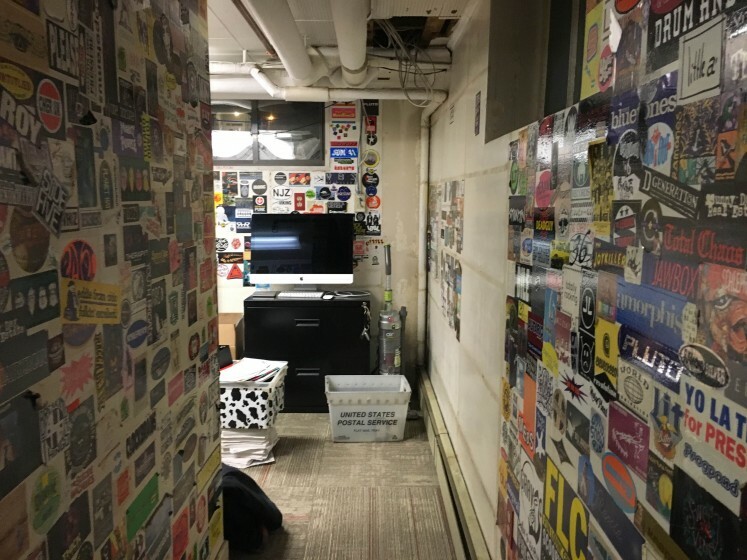 We’re trying our hardest to give the station a little of the TLC and primping it deserves while still maintaining the hip and dingy college radio atmosphere you’ve come to know and love. 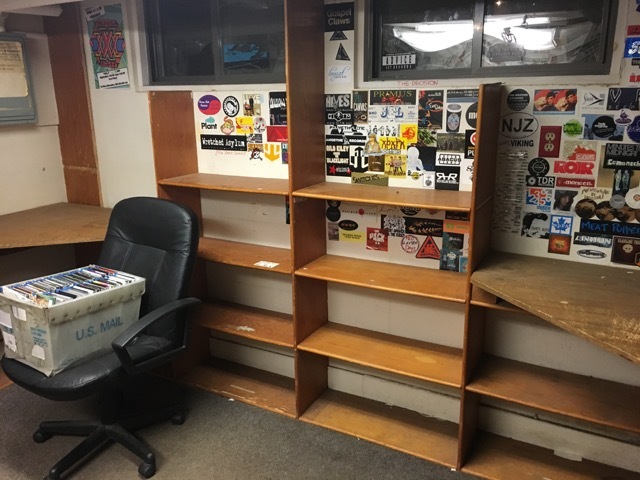 Our beloved musty, cluttered production studio has already been outfitted with a new floor-to-floor rug and old built-in shelves have been ripped out to make room for a more open and dynamic use of space. The old rug featured in the rest of the studio has been replaced. The board has plans to clean up some of the stickers (keyword: some), in addition to adding new and comfy furniture. SCORE. Thanks for bearing with us during the organized chaos that is the renovation process. Stay tuned for the final product. We know you’ll love it. 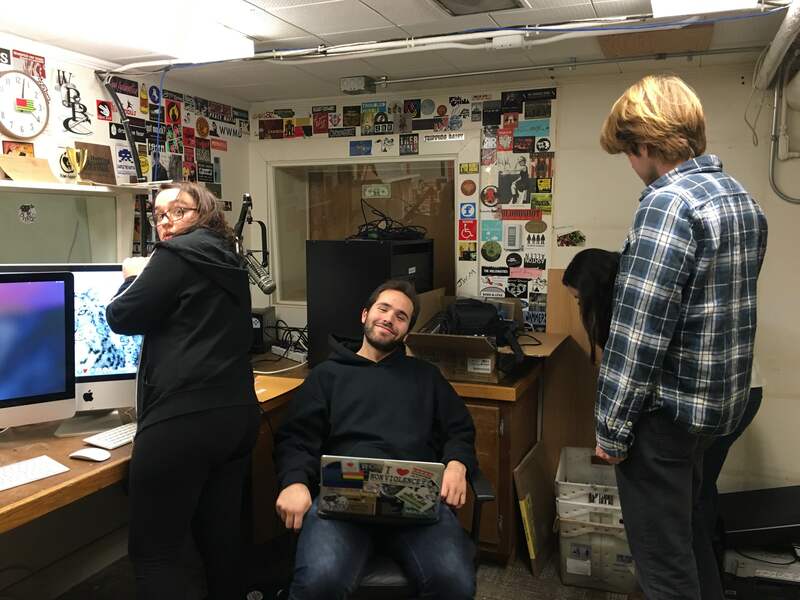 Michaela “Mickey” Scanzillo ’16, Ezra Oliff-Lieberman ’18, Jordana Gluckow ’16, and Nathan Dana ’17 work together to organize the production studio. 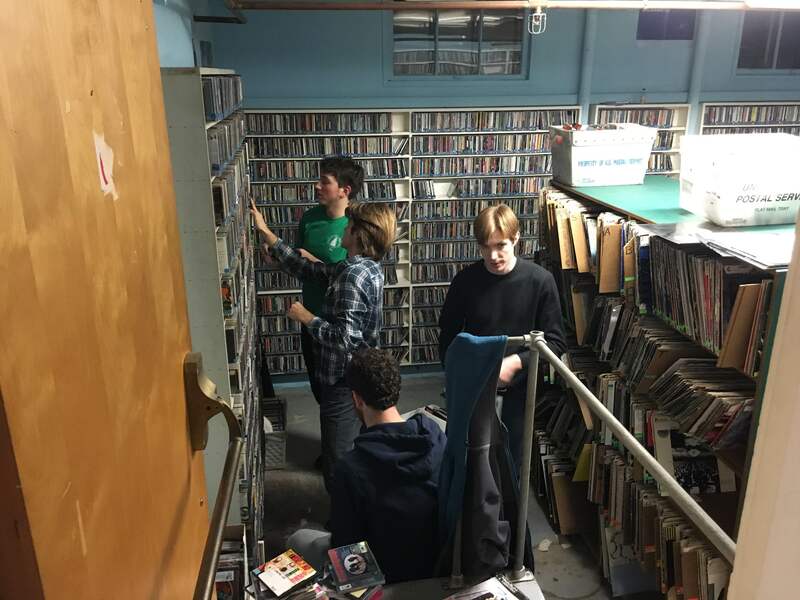 Ryan Whittmore ’19, Nathan Dana ’17, James Erwin ’18, and Josh Leiner ’18 work on organizing CDs in the rock room. The old shelving before it was removed from the production studio. Some of the relocated clutter in the midst of renovation.